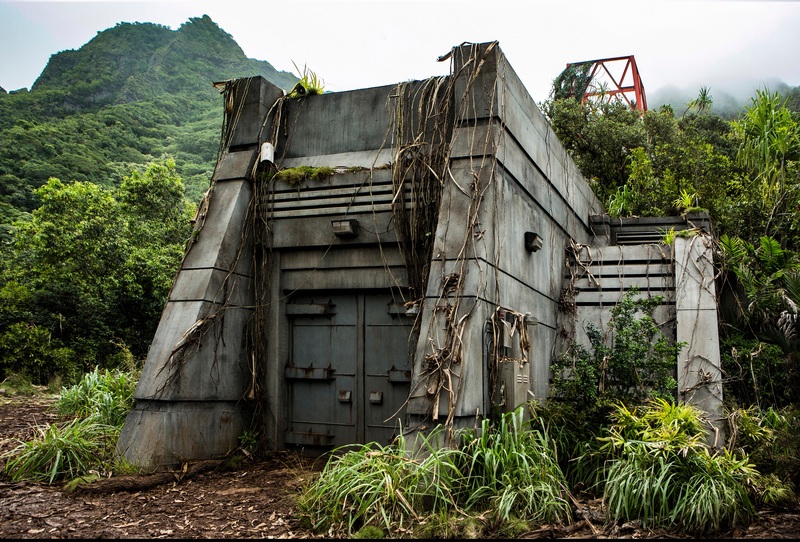 Part of the infrastructure for John Hammond’s original park, these bunkers were spread out over Isla Nublar, connected by a network of underground tunnels, and allowed park employees access to the park networks from the field. The exterior of the bunkers were made from solid concrete and mainly accessible via a pair of thick sliding double steel doors. The architecture used sloping lines reminiscient of many of the original Jurassic Park structures such as the Maintenance Shed and the Emergency Bunker. If the doors did not have electricity powering them, they could be manually operated through an electrical panel next to the doors. There was also a large radio tower at the top of the bunker. Presumably, this was used to track the dinosaurs radio tags around the island, however it is unknown if this structure was added by InGen under Masrani Global or if it’s a feature original to the bunker and repurposed for Jurassic World’s technology. The interior bi-level and was lined with many electrical boxes, and piping. Large, semi-circular tunnels that could be accessed from inside the bunker led to other maintenance bunkers as well as other infrastructure around the island. An extendable ladder could be used as an emergency exit and led to a hatch at the top of the bunker. 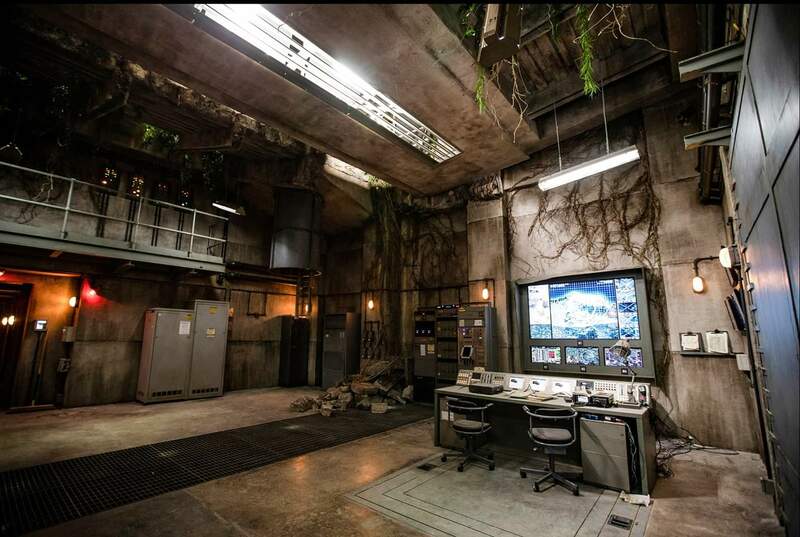 During the time Masrani Global operated Isla Nublar, a large screen computer activated by employee handprint recognition could be used to remotely track dinosaurs around the Jurassic World theme park. These large screens were operated from an accompanying work station directly in front of the screens. 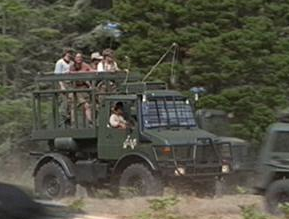 In order to track Blue the Velociraptor, Ken Wheatley tasked Dinosaur Protection Group programmer Franklin Webb in accessing the bunker to use the dinosaur tracking system. 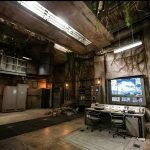 Wheatley then had Claire Dearing, former Park Operations Manager for Jurassic World, use her employee credentials to access the system itself. From there, Dearing and Webb tracked the progress of Ken Wheatley’s and Owen Grady’s hunt for the feral Blue. As the volcano’s eruption became more and more apparent, the mercenary escorts abandoned Dearing and Webb, locking them in the bunker as they fled. 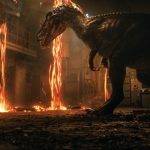 It was then that an errant Baryonyx using the underground access tunnels found its way into the bunker, attacking Webb and Dearing. The pair escaped the bunker using the emergency hatch at the top of the bunker, trapping the Baryonyx inside. It is presumed the bunker was destroyed by the eruption of Mt. Sibo.